Charlotte Bessette--proprietor of Fromagerie Bessette, affectionately known in Providence, Ohio, as the Cheese Shop--is busy setting up her tent for the town's Winter Wonderland faire, where she'll offer fine wines and scrumptious cheeses. In the midst of the preparations, Charlotte meets an old friend of her mother, Kaitlyn Clydesdale, who has come back to Providence with plans to start a new honeybee farm. 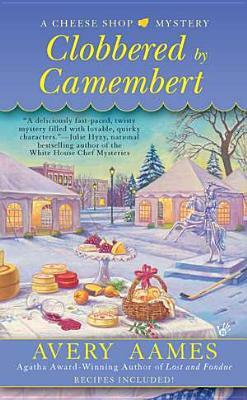 When Kaitlyn is found dead in the cottage of Charlotte's assistant Rebecca, suspicion falls on Rebecca's boyfriend, a honeybee farmer himself. Charlotte knows this beekeeper wouldn't hurt a fly, so she decides to find the real killer. While the town buzzes with gossip, can Charlotte catch the culprit without getting stung herself?